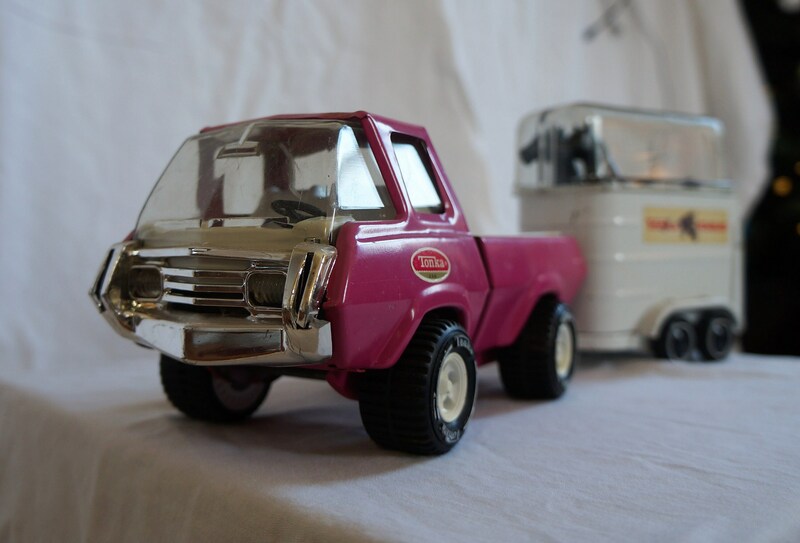 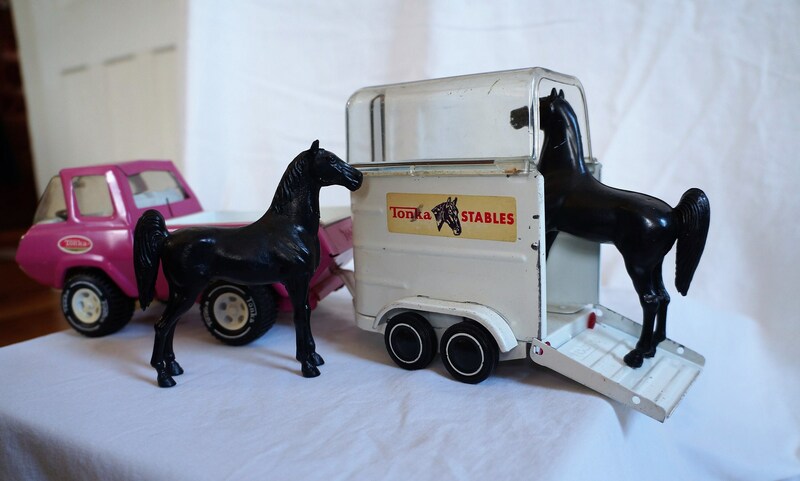 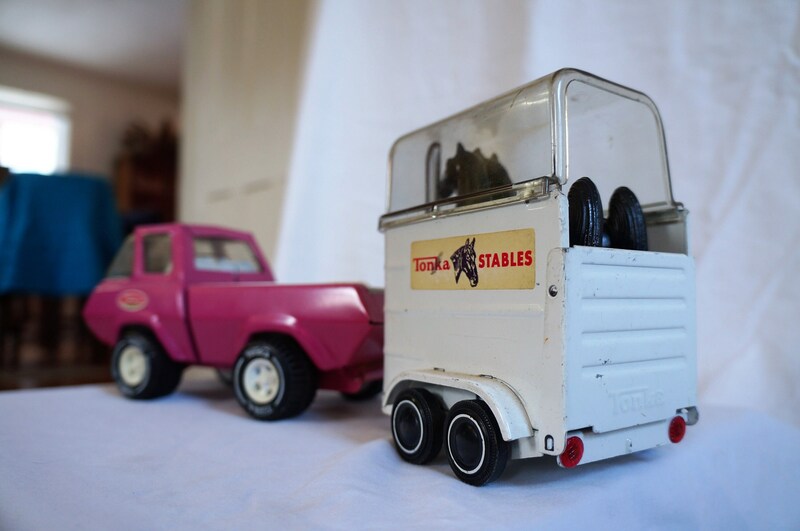 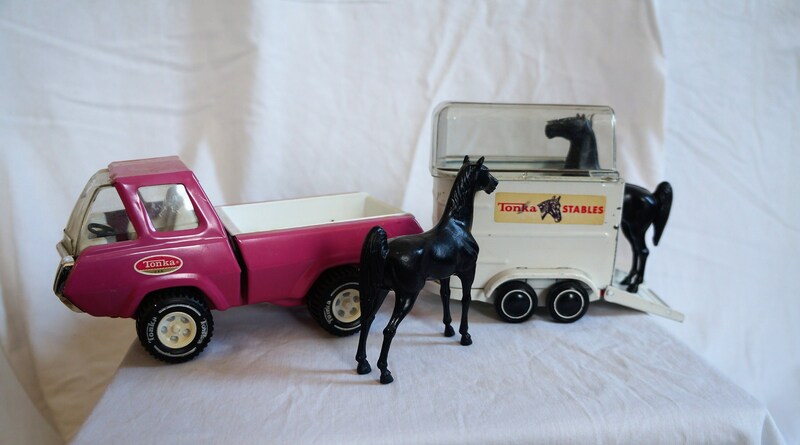 1960s Complete Tonka Stables Cabover Pick Up and Horse Trailer With Horses, Pink and Minty! 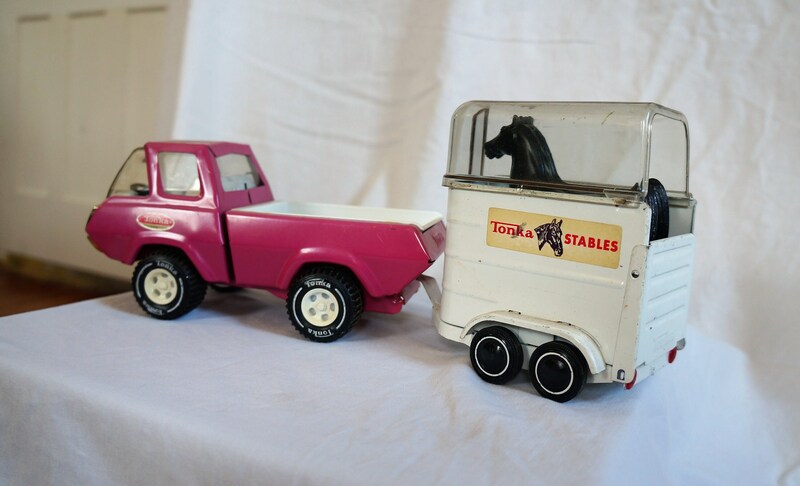 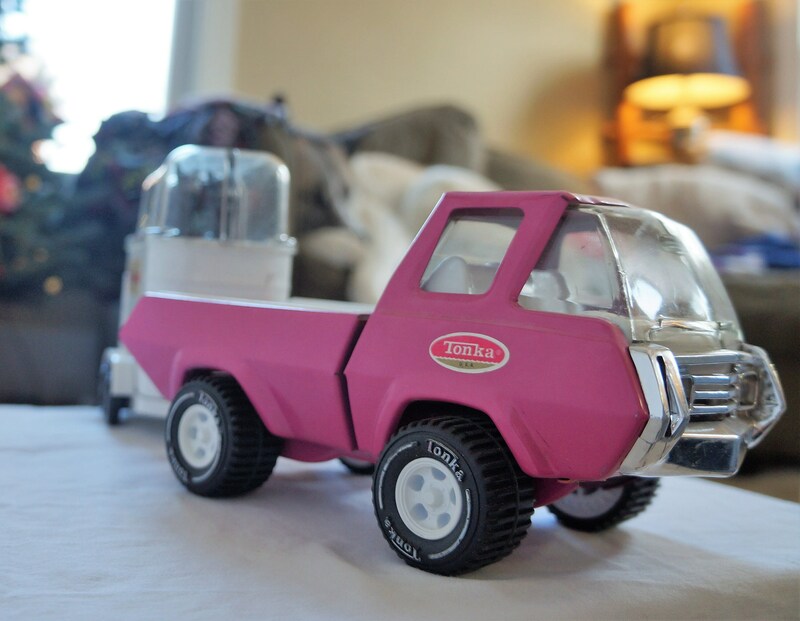 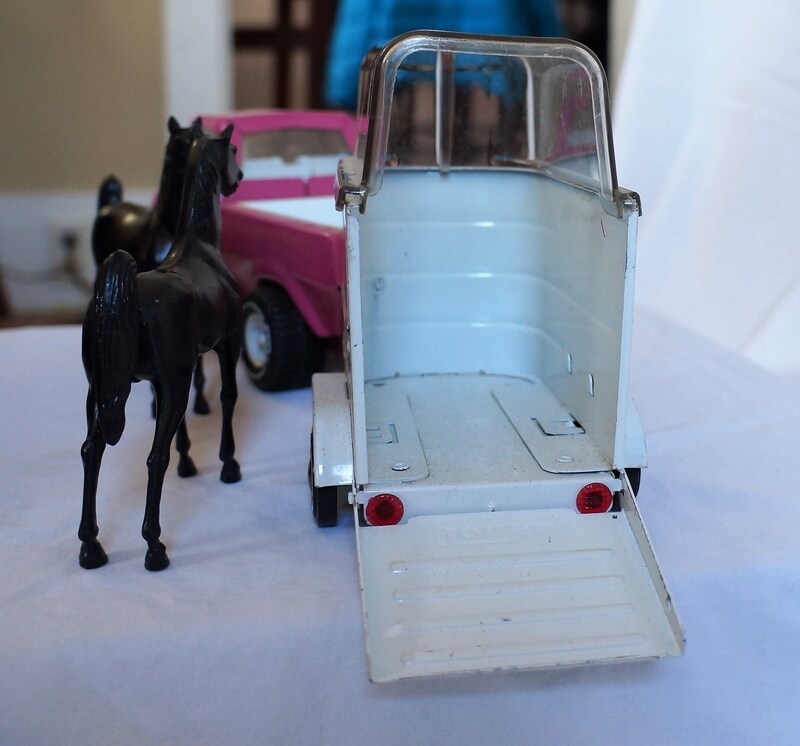 1960s Pink Tonka Stables Pick Up, Minty, rare color, complete with pony trailer and ponies. 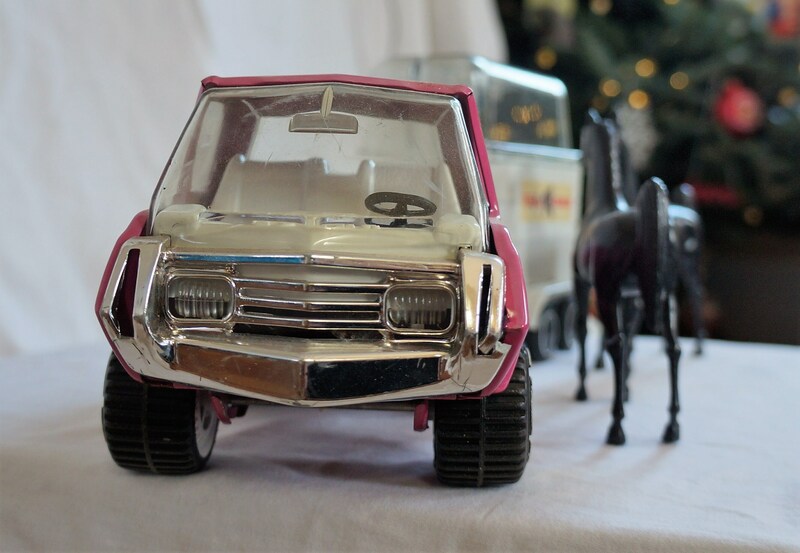 Whites are very bright, glass is clear, and chrome is nice. 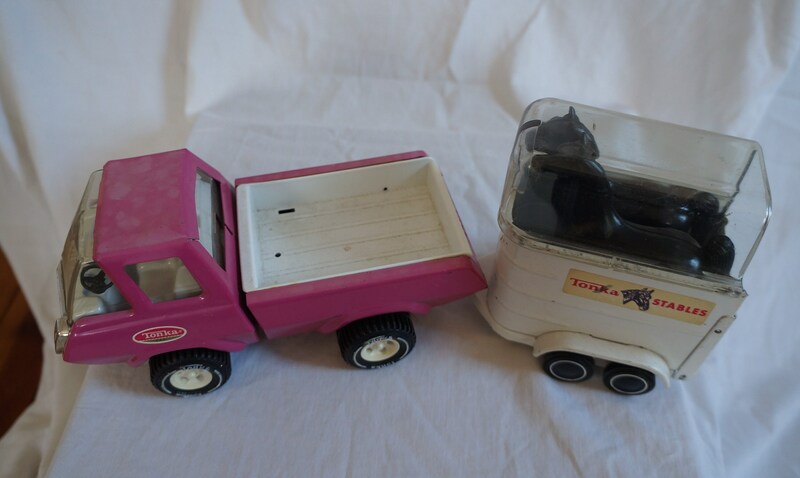 Some fading on the cab roof as can be seen, but that's about it. 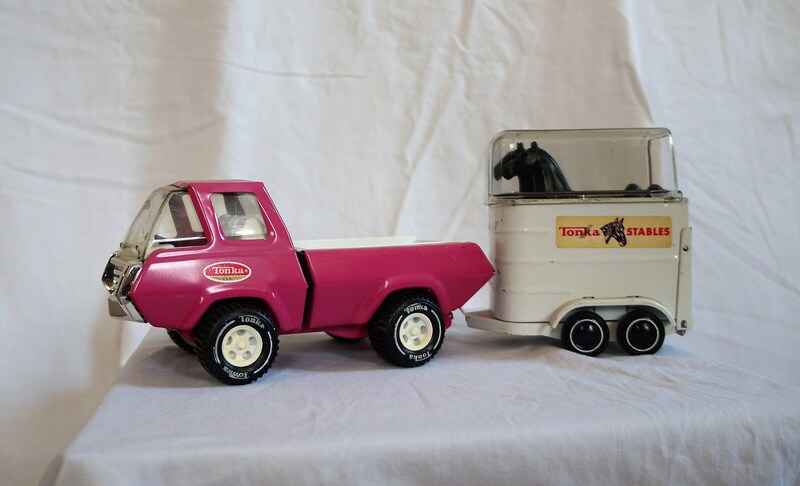 Super set.